Choosing the right school for one’s child is probably the most important decision one has to make as a parent. 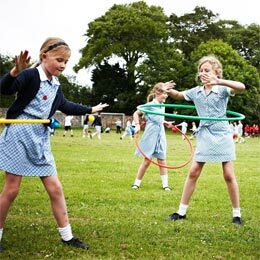 This web site is designed to show parents what is on offer at FCJ Primary School, Jersey. It provides parents with information concerning the school and reinforces the fact that we are essentially a Catholic Christian community; but a community that welcomes families from other faiths and cultures too. Everything we do is for the benefit of the children and for this reason we place strong emphasis on working in partnership with parents. We are proud of our school and all that it has to offer our staff, our students and our parents. Excellence is an inclusive value in an FCJ School, incorporated in every aspect of school life and living. We set the highest possible standards in supporting each other as we strive to achieve our personal best; to become what we aspire to be. Companionship is an all-pervading quality present when we work together in an atmosphere of support and love. The dignity of each person is recognised as that of a human being made in the image of God. Everyone is genuinely listened to and what they say is heard. Companionship is breaking the bread of life together as we live God’s dream for each one of us more fully. Together we learn; we pray; we laugh and cry. Dignity is treasured in the school community, nurtured in the individual and enhances the life of the school. Everyone is genuinely listened to and what they say is heard. This sense of dignity and respect provides opportunities for each person to recognise and celebrate their own self-worth. It demands, when challenging circumstances arise, that we seek dignified solutions for all concerned. Justice acknowledges and embraces diversity; ensures fair treatment for all; promotes just relationships and structures within our school and in the world. It challenges opinions and actions that contradict Gospel values and requires us to stand shoulder to shoulder with the oppressed. Hope inspires and enables us to persevere in the face of difficulties. It empowers us to fulfil our aspirations and grow towards spiritual, intellectual and emotional maturity. Gentleness is the fruit of quiet self-possession that has been gained through daily growth in self-understanding through the light of grace (Adrian Van Kaam). It is a quality which helps us to keep a calm spirit, a peaceful heart, and control in our words and gestures; even when the circumstances seem to call forth, or at least justify, an explosion of displeasure or anger. Gentleness results in right relationships with God, self and others. Gentleness keeps our hearts always within the boundaries of justice, reason and love. 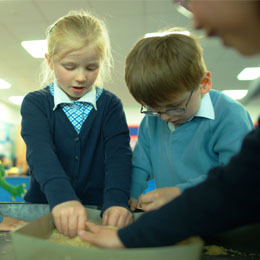 At FCJ School we recognise the uniqueness of each individual and we learn to respect this as we prepare our children for life in the wider world. We are concerned with the development of the whole personality of each individual. We do not forget that we are part of a process; we want our children to go on to the next stage of their education with a built-in desire for further learning experiences and opportunities. To place God at the centre of all that we do. To make visible the values of God’s kingdom through the teachings of Christ so that FCJ is a place of prayer, truth, holiness, justice, love, forgiveness and peace. 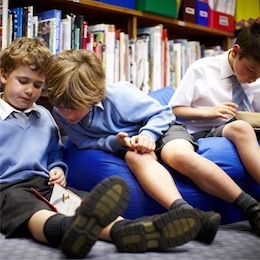 To provide a secure and safe environment where children feel valued and happy. To involve parents in all aspects of their child’s education by promoting positive home-school partnerships. 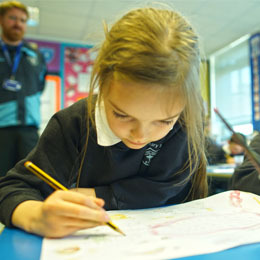 To provide excellent standards of teaching and learning within the framework of the Jersey Curriculum and to help our students acquire the skills of independent learning. To provide learning experiences that will develop the children intellectually, socially, morally, aesthetically, physically and spiritually. To instill in our students a sense of decency, commitment, self-reliance, responsibility, respect for others and healthy self-esteem. To create an atmosphere that is relaxed but purposeful; and facilitate the achievement of these aims by forming the best possible relationships between teachers, children, parents and others involved. To help the students develop an understanding of their cultural heritage. To provide quality professional development opportunities for staff and governors. The school was founded by the Society of the Faithful Companions of Jesus, a religious order of women whose foundress is Madeleine de Bengy de Bonnault d’Houët; mother, wife, daughter, widow, friend and loving grandmère. 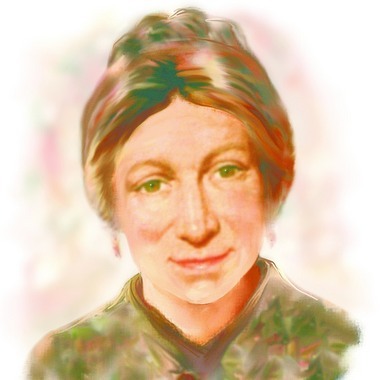 Having founded the order in 1820 in post-revolutionary France, Marie Madeleine soon travelled abroad to found schools in England, Ireland and Belgium. Maria Fidelis, Euston, is the oldest Catholic school in London. After her many years of religious life Marie Madeleine died in Paris in 1858. FCJ Primary School has been established in Jersey since 1911. Most islanders will remember the old FCJ Convent School at David Place. This site housed the convent as well as the School. In 1967 the FCJ Sisters bought Grainville Manor, in the Parish of St Saviour. Work began on the new Convent and School building in 1969. The Prep School was opened in 1970 and the Convent and Secondary School a year later. 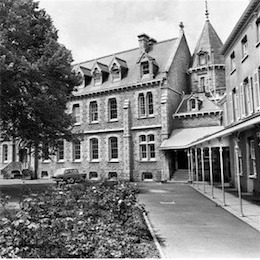 In 1979, as a result of falling rolls, the Catholic Schools in Jersey were asked by the States to rationalise the provision of their secondary schools. After much discerning and discussion, it made sense for the Society of FCJ to relinquish its secondary school and focus on increasing its primary school provision. The two other Catholic Schools, Beaulieu Convent for Girls and De La Salle College for boys shared the same site and could further share, in particular, Sixth Form provision. These two schools agreed to reduce their primary intakes to one form entry (4+ – 11 years) and increase their secondary capacity to cater for students transferring at secondary level from FCJ Primary School. Further extensions were added to FCJ Primary School in 1996 to enhance curriculum provision for Art and ICT as well as provide an additional classroom. This extension programme was funded in full by the FCJ Sisters. In 2002 the school received a capital works grant from the States of Jersey and completely refurbished the school to a high standard. A few years later the grounds were developed to provide a sensory garden, vegetable plots and adventure play equipment. Further works and developments are in the pipeline as the school continues to thrive. Watch this space! 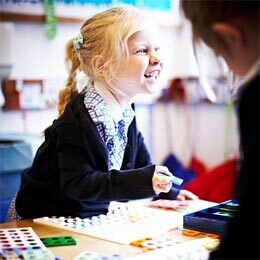 ensure that the school provides for the needs of its students; including those with special educational needs. FCJ’s school governing body must have at least 10 Foundation Governors who are appointed by the FCJ Sister Provincial. 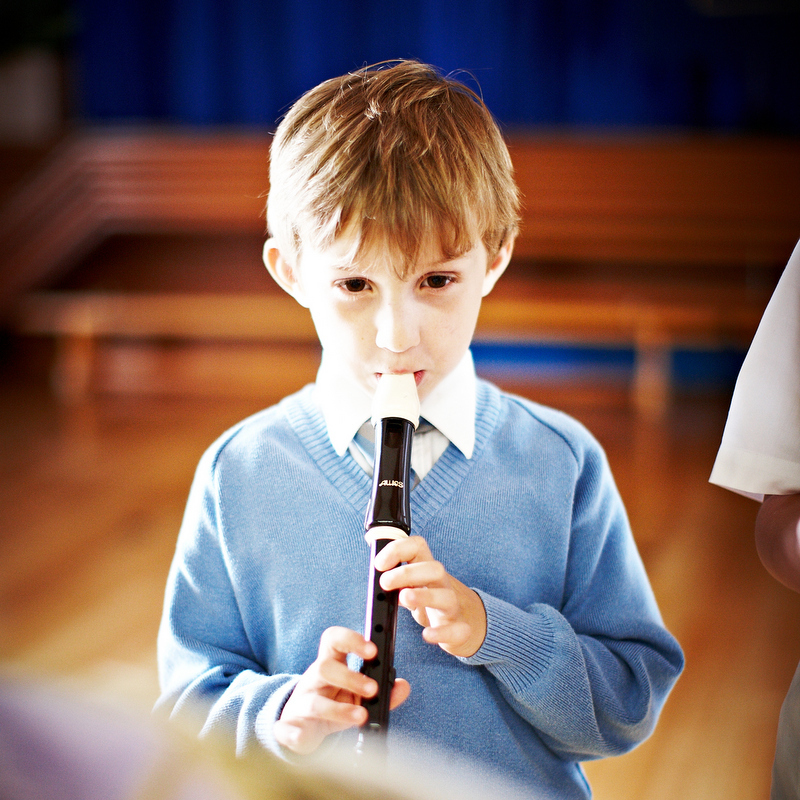 The foundation governors bring to the group a wide range of personal and professional experience and expertise. A Parent Governor is elected by the parent body of FCJ School and a Teacher Governor is elected by the teachers at FCJ School. They are not elected to represent the views of parents and teachers. Rather, their experience of being a parent or a teacher will enhance the views and decisions of the governing body as a whole. The Parent Governor must have a child attending the school during his or her time as governor. Similarly, the Teacher Governor must be in post during his or her time as a governor. 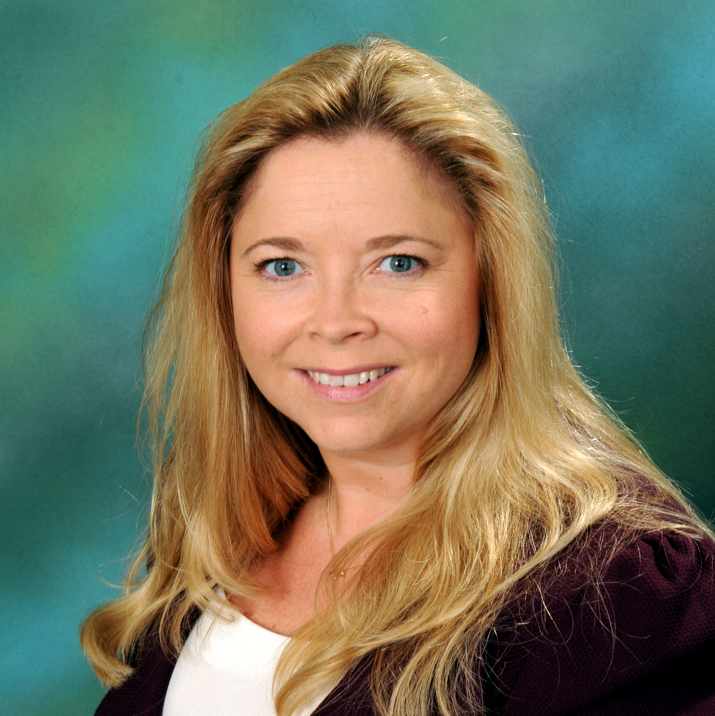 Correspondence to Mrs Riley is directed via the school address.